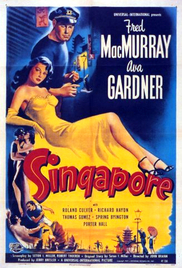 Plot: After the war, Matt Gordon returns to Singapore to retrieve a fortune in smuggled pearls. Arrived, he reminisces in flashback about his prewar fiancée, alluring Linda, and her disappearance during the Japanese attack. But now Linda resurfaces...with amnesia and married to rich planter Van Leyden.